The first part of Annika Palome’s review of the aftermath of the Panama Papers was posted yesterday. Prime Minister Joseph Muscat aspires for Malta to be known as a modern hub of financial services, cryptocurrencies and “the fastest growing economy in Europe”. However, Panama Papers revelations about his Chief of Staff and a government Minister having offshore accounts and the consequent failure of Malta to take any action, have cast a shadow on the island’s reputation. After the failure of Maltese authorities to investigate the allegations of money laundering, and the court’s decision to block an investigation, a Maltese civil society organisation – Repubblika – submitted a formal complaint to the European Commission as well as to the European Parliament. In its statement, the NGO based its complaint on a breach of Article 58(2) and (4) of the fourth anti-money laundering directive (AML4); Article 2, Article 4(3) and Article 19(1) of the Treaty of the European Union in conjunction with Article 47 of the EU Fundamental Rights Charter; as well as the principle of effectiveness. Instead of taking action to repair Malta’s image, the Labour Government seems to have used all the tricks in the book to stop investigations into the allegations of corruption. Prime Minister Muscat, his chief of staff Keith Schembri and the Tourism Minister Konrad Mizzi filed multiple applications to attempt to block investigation based on the Panama leaks. The appeals turned out to be successful when in January 2019 the Maltese Appeals court revoked the initial order for an enquiry into possible money laundering. Despite the Panama Papers having been used as part of the evidence in investigating corruption around the world, Judge Giovanni Grixti stated that documents obtained “unlawfully” from the Panama Papers leak ”had no probative value” and could therefore not be used as evidence. Public opinion at large in Malta seems to take a laissez-faire attitude to corruption, which in part helps keep corrupt officials in power and in impunity. Corruption is so deeply rooted within all parts of the society that it is often seen as something of a norm. According to a survey by Eurostat in 2017, 79% of the Maltese respondents believed that corruption is “widespread”, 66% considered it ”part of the business culture”, and 10% knew someone who had taken bribes. These attitudes are a far cry from Malta’s obligations as a member state of the European Union. 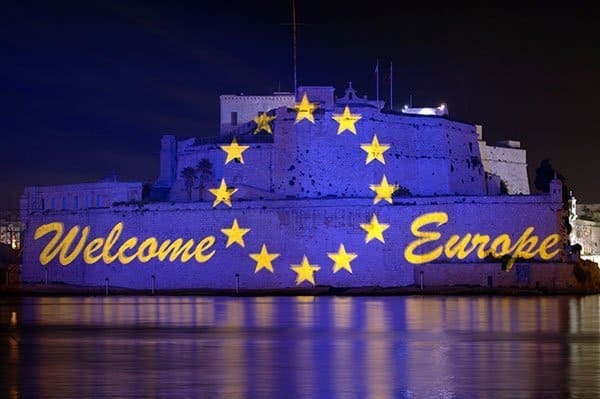 Upon joining the Union in 2004, Malta did not only gain the direct benefits of the EU such as free movement of people, goods, capital and services but it also at the same time bound itself to common obligations, values and aims of the Union. Repubblika based its complaint to the EU institutions not only on the fact that Malta is in breach of EU law on money laundering but also because it is violating the “EU values of democracy and the rule of law”. Article 2 of the Treaty on the Union (TEU), states that the respect for democracy and rule of law are some of the most important values of the Union. The aims of the Union stated in Article 3 (TEU) further maintain, that the Union shall uphold and promote its values and contribute to observance and development of international law. Money laundering is an international crime, and the treaty on the functioning of the EU also recognises it as a “euro-crime,” listing it among the particularly serious crimes with ‘a cross-border dimension’ for which minimum rules on the definition of criminal offences and sanctions may be established (TFEU Art. 83.1). The EU has certain policies in place on cooperation in relation to crime such as money laundering. In the area of juridical cooperation, the EU’s role is to act in the interest of the Union as a whole, especially in combatting organised crime such as money laundering, because this type of crimes might not be sufficiently dealt with at a national level. Important steps taken by the EU have included adopting directives on money laundering and the creation of a European Police Authority ’Europol’. Specific Union anti-corruption acquis include the 1997 Convention on fighting corruption involving officials of the EU or officials of the Member States and the Anti-Money Laundering Directives. Malta has already received a warning for failing to transpose the money laundering directive into its national legislation in good time. After the 4th Anti-Money Laundering Directive, that entered into force on the 26th June 2015, EU Member States were given two years to implement and adapt it into their national laws. However Malta failed to transpose the directive in time and in July 2018, was warned it had to transpose the Money laundering laws or face the European Court of Justice. If a Member State is in breach of EU law, the infringement proceedings can be started by the European Commission, by a member state or by private citizens. The European Commission can then refer the case to the European Court of Justice. The Commission referred Luxembourg to the ECJ for not completely implementing EU anti-money laundering rules in November 2018. Luxembourg had transposed only parts of the 4th Anti-Money Laundering Directive into their national laws. If a private citizen feels that the authorities in their country have infringed EU law, they also have the right (under Article 227 TFEU) to submit a petition to the Commission or to the European Parliament. Private citizens can file a complaint to the European Commission about any measure (law, regulation or administrative action), the absence of measure or practice by an EU State, that they think is against Union law. The Commission has been given a political mandate to measure member states’ efforts in the fight against corruption and to develop a comprehensive EU anti-corruption policy, in cooperation with the Council of Europe Group of States against Corruption (GRECO). After the initial vetting process by the European Commission or the European Parliament, the application can be referred to the Court of Justice of the European Union which in turn can take action for failure of member states to fulfil obligations under the EU treaties. If the country is found to be at fault, it must put things right at once, or risk a second case being brought, which may result in a fine. Breaches of anti-corruption values of the EU can, in addition, lead to a member state being penalised under Article 7 TEU. The European Council can suspend some rights from the Member State, including voting rights as per Article 263 and 267 TFEU. Malta was also faced with some serious criticism in December 2018 by the Venice Commission, which concluded that there is a serious rule of law problem in Malta’s judiciary. While the Venice Commission didn’t have the competence or the mandate to examine any criminal investigations or the veracity of allegations of money laundering, its legal experts highlighted Malta’s “international obligation” to ensure “holding authorities accountable”. Sweeping corruption under the carpet affects us all negatively. Corruption erodes away democracy and creates mistrust in its institutions. Whilst no country is entirely free of corruption, countries that tend to be less corrupted also score highest on democratic rights and values. Corruption reduces economic growth and development. According to some estimates, Malta is losing €725 million every year or 8.65 per cent of GDP to corruption. Corruption also discourages foreign investment. Countries that score badly on the World Bank’s Doing Business Indicators also score badly on the Corruption Perceptions Index. Malta saw its steepest decline yet in the 2018 Corruption Perceptions Index. It has now fallen down 17 positions in the past 3 years. One of the reasons for the low score given by Transparency International was Malta’s involvement in the Panama Papers. Malta may try bypass to Panama but Panama does not bypass Malta.